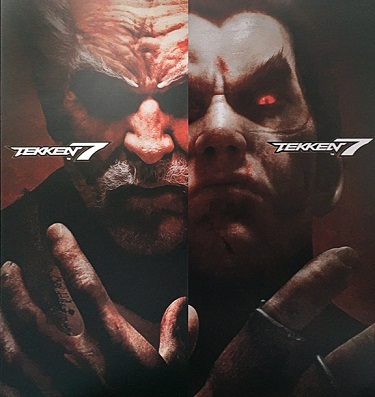 At the end of the Tekken 7story you will encounter the final boss Kazuya. Unfortunately, a good series of punches is not enough to defeat this boss, as he uses demonic power to finally defeat his father. You can make the task easier by selecting a simple difficulty level, but the fight against him is quite hard even on light settings. In the course of the battle, this boss will gradually become more and more transformed. As long as he is still human, your chances are very good. After that, it becomes much more difficult and you should not neglect some things. However, it is not impossible and with the right moves the devil's boy should soon be in the mud. As a reward you will receive a trophy or an achievement. Below we show you the four phases of Kazuya, which you have to complete in order to see the end of Tekken 7 and to unlock the Akuma special chapter. In this phase you fight with Heihachi against the human form of Kazuya. In this battle, you don’t have to pay much attention. Still the fight is quite easy. You should avoid Kazuya's deep and medium attacks and force him with short combos of punches and kicks. So your opponent should go down to the knees for the first time and start the second phase. In this phase, you will no longer face anyone and you must take care the third eye. Kazuya will shoot a laser beam that can cause enormous damage. In addition, his ability to block increases. You can prevent your laser by doing as much as you can. Through steady attacks, Kazuya cannot use his third eye. Use the combos of Heihachi by pressing downwards and to the left and right. Kazuya may block you, but some of the damage breaks through. Now Kazuya is slowly sour! He turns into his devilish form. In the third phase, Kazuya shoots laser beams from his chest and his punches become incredibly hard ... but you can avoid them with side steps. In this phase, the boss's defense is extremely good, and you need to use power crush attacks to do him good damage. Press "left-down left strike right hit" for this. It is very important that you keep your own life as high as possible. You start the next phase with the life you have at the end of this phase. Kazuya remains a devil and not just that! He stays in Rage mode all the time, so it is your main task to avoid his Rage Arts and attacks! If you defeat Kazuya, you should try you should try to side-step and otherwise jump forward or backward. Alternatively, you can block, but it can always get some damage. As soon as Kazuya opens, you must strike and go on the offensive. The fight may take some time, but with sufficient patience, you should defeat Kazuya.